A super large bunch of quality tulips. Picked from the greenhouse today and delivered to your home by postal service. This orange tulip is named "Triple-A" and represents large sturdy stems with a bright color. Put them all together in the matching canvas vase for a wow effect. Enjoy! Promotion: a free canvas vase (value 12,95 Euro) with every tulip order, choose your vase color below. 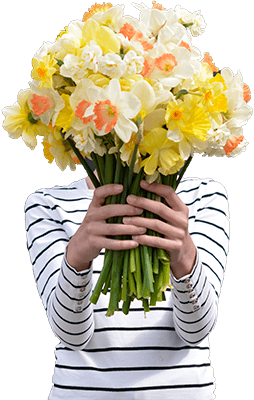 Note: we only ship our fresh flowers in Benelux, Germany, UK and France. Orders for fresh flowers cannot be comined with dahlia tubers because they are only sent in April. 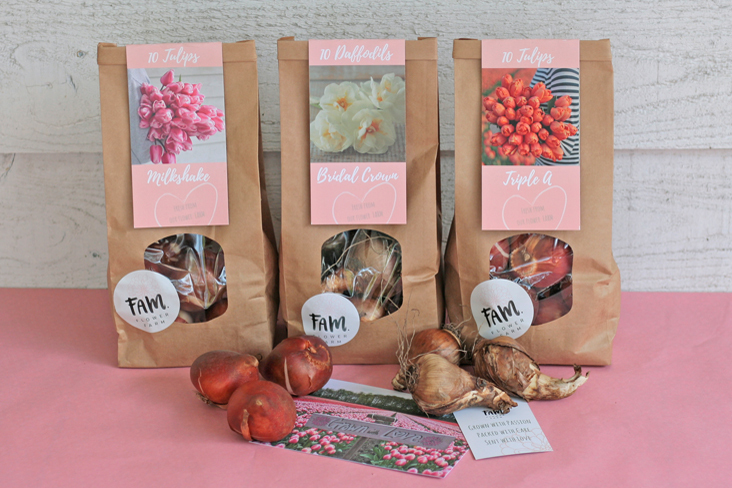 You can order the tulips daily until 14:00 and we deliver them to our postal service the same day (working days only). Depending on your country, the package will be delivered in 1 to 3 working days (see details below). If you want a different delivery date, you can of course indicate this in the comments field when ordering. We will try to ship them at the right moment but we are always dependent of the delivery service ofcourse. Tulip flowers are really strong so you can enjoy them for another full week after they have arrived at your home. We sent them with a special wet tissue wrapped around the stems so they will arrive alive. If you live in any other country (inside EU) we cannot guarantee delivery in time unfortunately.